Showtime is developing a television series adaptation of The Kingkiller Chronicle, executive produced by Pulitzer Prize, Tony, Grammy and Emmy Award winner Lin-Manuel Miranda (Hamilton), with acclaimed producer John Rogers (Leverage, The Player) serving as showrunner. Miranda will also compose music for the series, which is based on Patrick Rothfuss's global bestselling contemporary fantasy trilogy. Produced by Lionsgate, The Kingkiller Chronicle will be executive produced by Rogers, Miranda, Rothfuss, Robert Lawrence (Clueless, Die Hard with a Vengeance) and Jennifer Court (The Player). Here's what Lin-Manuel Miranda had to say in a statement about working on the series. "Showtime has always championed bold storytelling. Pat Rothfuss' Kingkiller series is some of the most exciting storytelling I have ever read. I could not be more thrilled to help bring the sights and sounds of his wondrous world of Temerant to the screen." Set in the world of the wildly popular fantasy series by Rothfuss, The Kingkiller Chronicle will follow a pair of wandering performers on their adventures through the unique and startling world of Temerant, immersing audiences in a universe of unexpected heroes, mystical places, and terrifying dark forces. It is a world that has delighted readers and critics alike, selling more than 10 million copies in 35 languages across the globe. The television adaption is a subversive origin story of legendary proportions set a generation before the events of the trilogy's first novel, The Name of the Wind. Here's what Gary Levine, President of Programming, Showtime Networks Inc., had to say in his statement. 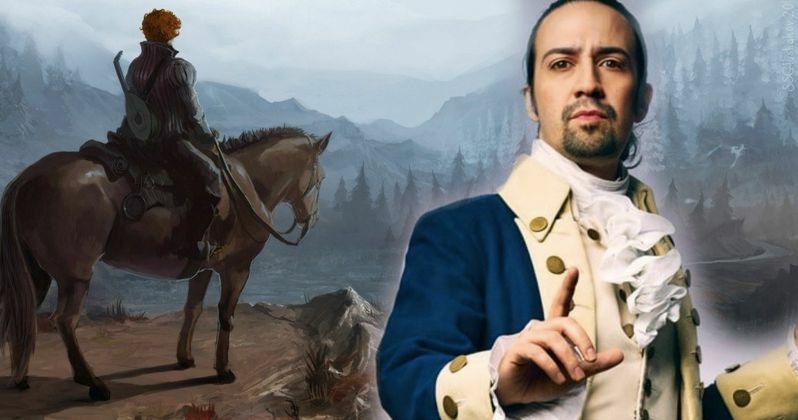 "The Kingkiller Chronicle moves Showtime into a new genre in a powerful and unique way, led by the talented Lin-Manuel Miranda and John Rogers. We can't wait for this talented team to harness the magic of Kingkiller to transport us all into an awesome new world." Miranda won two Tony Awards in recognition for Hamilton, his musical that received a Tony-record 16 nominations, winning 11. He earned his first two nominations and won his first Tony for In the Heights. He has been nominated for two Primetime Emmy Awards, winning for Outstanding Original Music and Lyrics for the 67th Tony Awards. He received Academy Award and Golden Globe nominations for the original song "How Far I'll Go" from Moana. His onscreen credits include How I Met Your Mother, Modern Family, The Sopranos and The Electric Company, as well as the upcoming feature Mary Poppins Returns. Here's what Lionsgate Television Group Chairman Kevin Beggs had to say in his statement about this Showtime series. "The Kingkiller Chronicle is one of the most coveted properties in the world, and we're thrilled to partner with a brilliant creator in Pat Rothfuss, a creative genius in Lin-Manuel Miranda and a renowned showrunner in John Rogers. With Showtime as our network partner, we continue to assemble a world-class team for our Kingkiller franchise." Rogers created and executive produced the series Leverage, The Librarians and The Player. His feature film credits include Transformers, The Core and American Outlaws. He also has a background in comics, including the Blue Beetle relaunch for DC Comics. The Kingkiller Chronicle is a collaborative franchise from Lionsgate that includes a television series adaption, a major feature film and interactive games all being developed concurrently with the Showtime TV series.